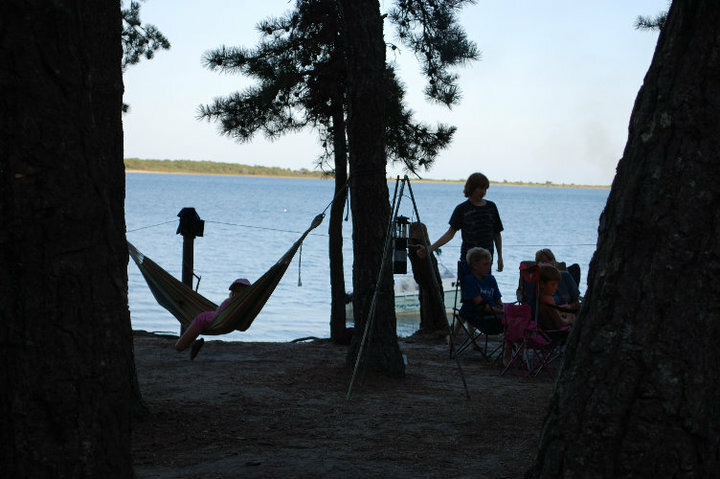 Sightseeing Saturday: Plan a Camping Trip With Your Family! I’ve heard it said that, “vacation used to be a luxury, but in today’s world it has become a necessity.” With the economy the way it is, planning a family vacation can seem nearly impossible for many people. Camping makes it possible. If you’re looking for some quality uninterrupted time with your loved ones, there simply is nothing quite like a camping trip. 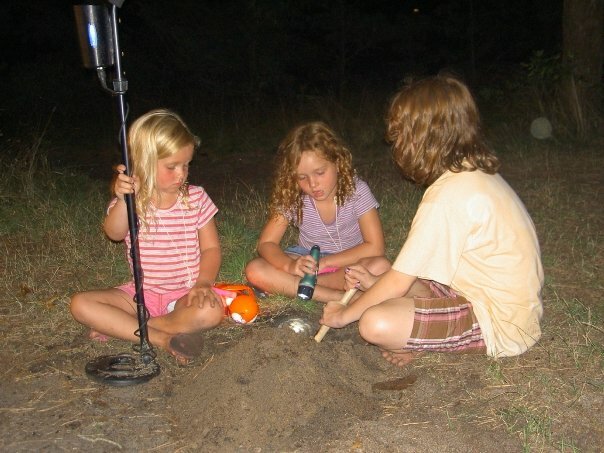 I’ve taken all 5 of my children camping since they were babies and I have countless memories of those evenings together under the stars. Whether spending the night under the California redwoods, soaking in the beauty of the Oregon coast, or pitching a camping tent a few steps from the beach on a remote island off of Cape Cod…the memories of our time together is what I the cherish the most. In today’s technological world filled with activities and commitments, it is so important to unplug and get away from it all. Nearly every summer for the past 10+ years, we have enjoyed an annual camping trip with some dear friends of ours. We go to a campground that is located on a National Estuarine Research Reserve, and we bring everything including our fresh water with us. Imagine waking up to sea breezes in the morning, and falling asleep under the stars while listening to the ocean crashing on the shore. This little piece of paradise is located just a few miles from our home. There’s no TV, video games, computers or cell phones. Instead we venture off together for a few priceless days of searching for pine cones and seashells, sitting around the campfire, sharing stories and simply enjoying nature and each other. 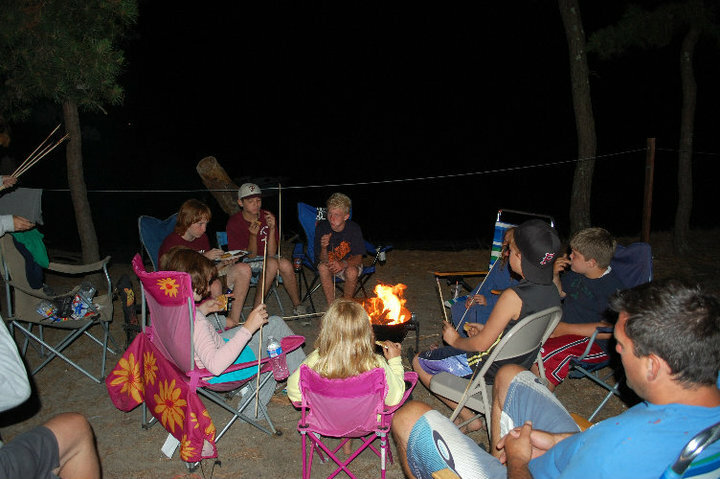 or making ‘smores around a campfire, planning a family camping trip is a wonderful way to make some lasting memories. If you’ve never been camping, now is the perfect time to plan a trip! The most important piece of equipment that you will need is a tent for camping. I recommend that you look no further than the Camping Gear Outlet. They carry top-tier gear at affordable prices. In addition, they offer super-fast shipping and a 100% money back-guarantee. You can purchase from them with total confidence and you can find everything you need in one convenient location. 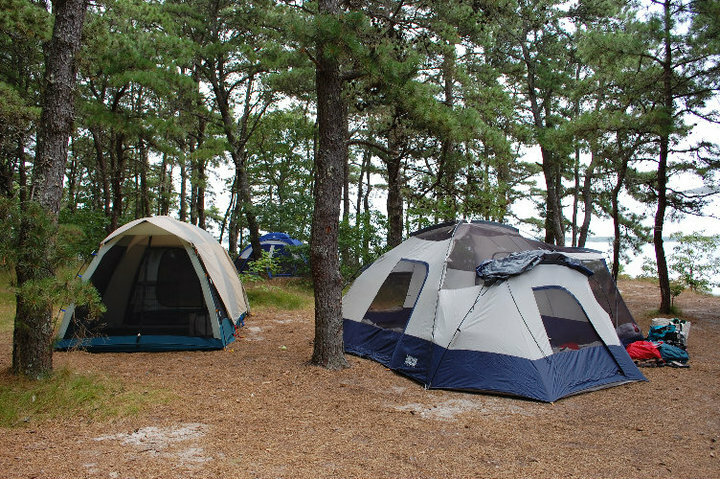 Once you have your gear, with a quick Internet search, you’ll find that many National and State Parks have affordable camping sites for rent. Don’t forget your sunblock, bug spray and sense of humor! Wishing you a wonderful camping trip with your loved ones! Brought to you by your friends at the Camping Gear Outlet. 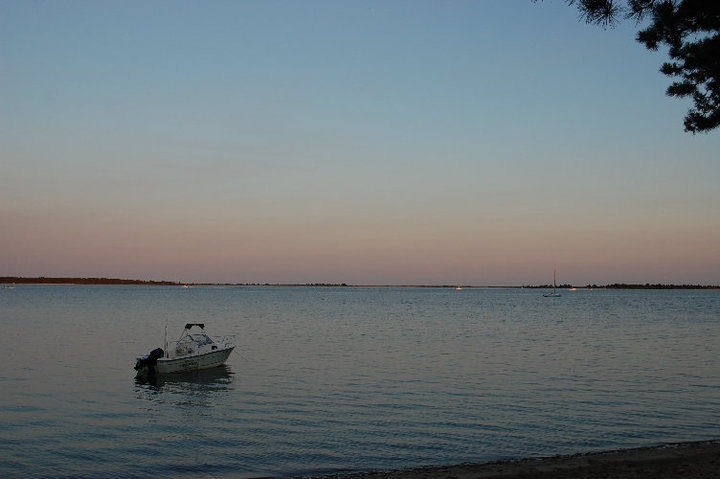 This entry was posted in Cape Cod, Daily Memories, Family Life, Friends, Sightseeing Saturday, Vacations and tagged Camping, Camping trips, Cape Cod Camping. Bookmark the permalink.